The best place to get your own “Guía t” is at a newsstand, but you can also buy it from the street vendors in the subway. At first, Guía t will seem confusing but, after some practice, you will be able to reach any place you like. Follow these simple instructions and enjoy the public transport! The first one is a Buenos Aires streets directory. *The second one is a Buenos Aires map; every page is a part of that map. *The third one, is a bus lines directory. 2) The first you need to know is in which page your starting point is. In order to find that out, you have to search for the address on th￼e streets directory (section one). Once you find it, you will see a coordinate next to it. 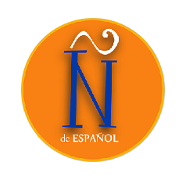 For example, if you are in Soler3500, you will see: “41 A2″. The first number indicates the page where the map is. In this case, 41. The second one (A2) gives your address´s coordinates in that page. 3) Afterwards, you have to repeat the same procedure for the place you want to go to. For example, Güemes 3900: page 41 – coordinate A1. 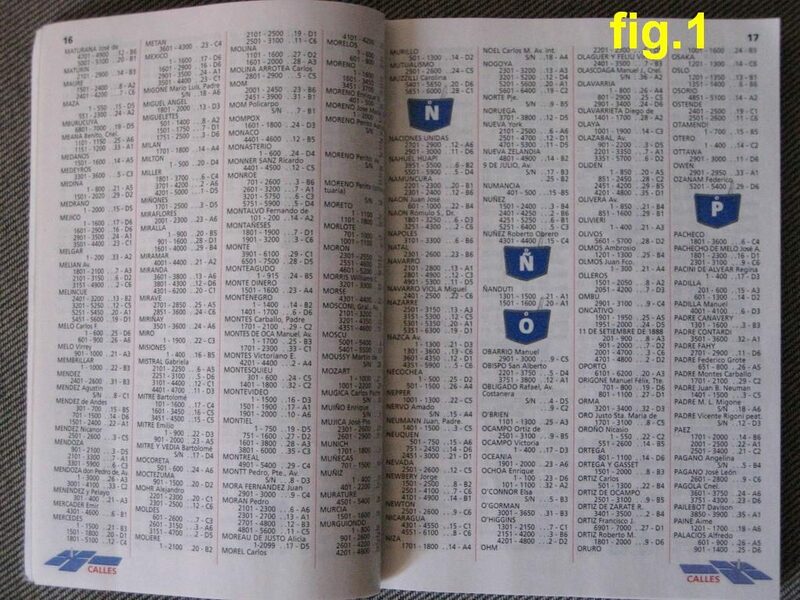 4) In the map´s opposite pages, you will find the buses that you can take in each grid. You have to compare the starting point and the arrival point, and see which bus goes past both of them. For example, in 41 A2 and 41 A1, you can see the number 39. That means this bus goes past the two places. 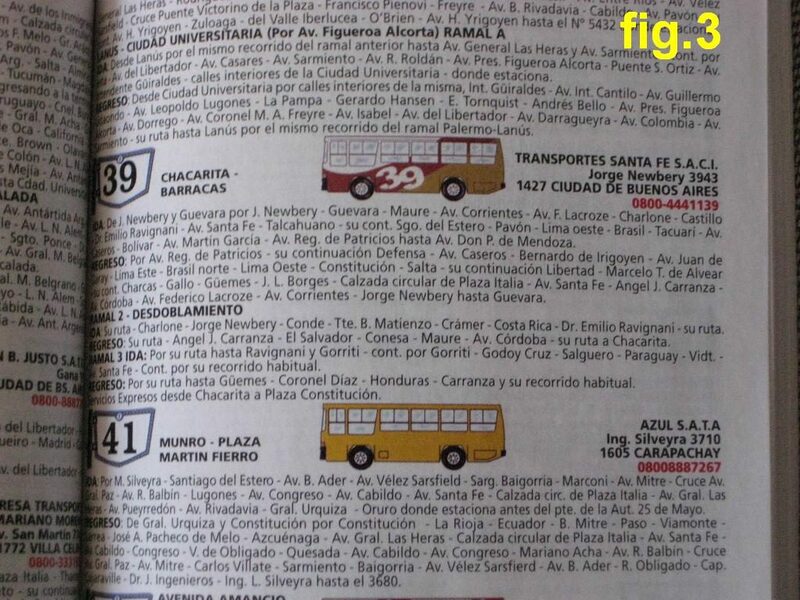 5) Finally, you can check the bus route at the last Guía T section: the buses directory. There, you will see in which actual street you can catch the bus and in which one you have to get out.